Can we please get a dark theme? Sometimes this site is a bit too bright and it kind of hurts my eyes a little. I would turn down the brightness and my monitor but I have dark themes for most of the sites I visit. 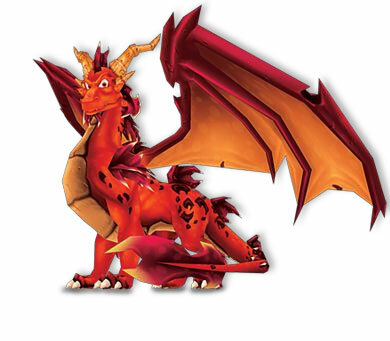 Plus this is DarkSpyro you know? We're not talking dark background color here, there just needs to be themes that change color of the whole site entirely. Uh, yes?! dark would be utterly betraying his namesake if he doesn't do this. dark pls fix why discriminating against poll and not making it "Dark Poll" with "Dark View Results"
I wonder if I gave him the idea to make this? Dropping in to express my appreciation for this! Dark52 please at least consider the "dark" theme as an option for the site layout. It actually helps people see better and causes less eye issues. I have to sign that, the dark theme was awesome! Please keep the Dark theme, it's so much easier on the eyes! I wonder how dark handles the brightness himself. I literally PM'd him the link to this topic, so he should at the very least give us a response. Yeah if it's something you all want I can certainly take a look at making an option for it. It'll still need some more work to be something that's permanent so I can't just turn it on tomorrow or anything but I should have time to get it smoothed out within the next few weeks. if there is a dark theme, i'd suggest a dark gem background to go with it. i want the other gem colors to get renamed like spyro purple and sparx yellow. Take your Time and thanks ! dark52 announced in his guestbook that he's planning to add it to the site's options on Tuesday! It is now live, let me know if there's any problems. You can either switch it on for your whole account on the Settings page with the Theme dropdown or you can switch it on/off for your current browser using the toggle at the bottom of the page. for the toggle night mode button can you change the wording when youre in it for aesthetic reasons? Thanks Dark! If there's any issues with the Dark theme please post here! Ooh, green is very nice to see in low phone light. Thank you, Dark!